An old friend of mine, Dr. Barry Newell, is an astrophysicist who was was the Administrator (in the NASA sense) of Mount Stromlo and Siding Spring Observatories of the Australian National University. He now works on the dynamics of social-ecological systems. In his spare time (back in 1988), he wrote two classic books on Logo programming and mathematics, Turtle Confusion and the accompanying book for educators, Turtles Speak Mathematics. Turtle Confusion features 40 challenging turtle geometry puzzles in a mystery format and Turtles Speak Mathematics helps educators understand the mathematics their students are learning. 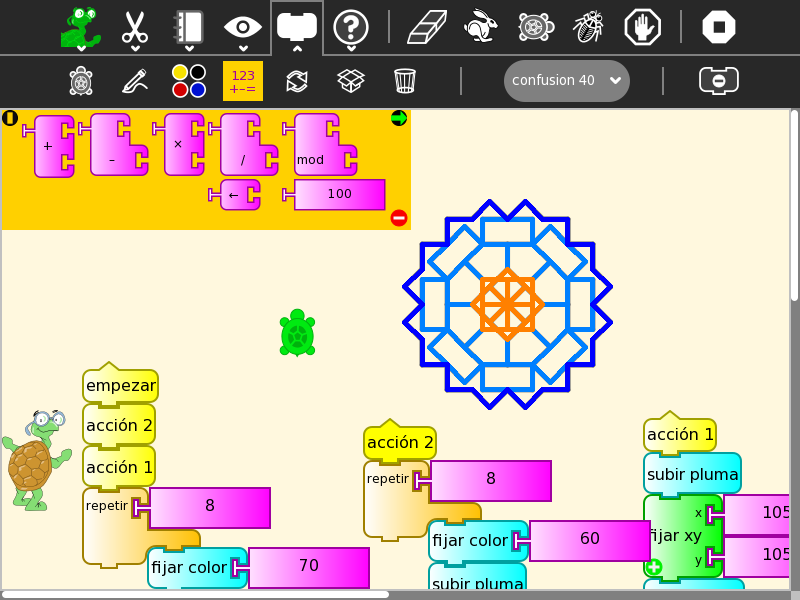 I was reminded of the books when Sugar Labs, the folks behind the operating system for the One Laptop Per Child XO laptop, featured the challenges as an activity to accompany TurtleArt software on the XO. The books’ author, Dr. Barry Newell, gave me permission to share digital copies of the book for personal, educational and non-commercial use. Click here to go to the download page. These books are best used with versions of Logo such as MicroWorlds EX or Berkeley Logo. Some of the puzzles are very difficult or impossible to solve in Scratch, but it’s worth trying if that is all you have. SNAP! is another potential option. TurtleArt is another possibility. Although, mathematical programming is often easiest and best achieved through the use of textual language (IMHO). A bit of dialect translation might be necessary. For example, CS is often CG (in MicroWorlds EX).